Imagine a cute greeting for Santa, with a personalized photo of the children! Or offer Family Sets, with photos, names and a spot for the child to use a marker and input their gift requests from Santa. Make some for pets, or charities. 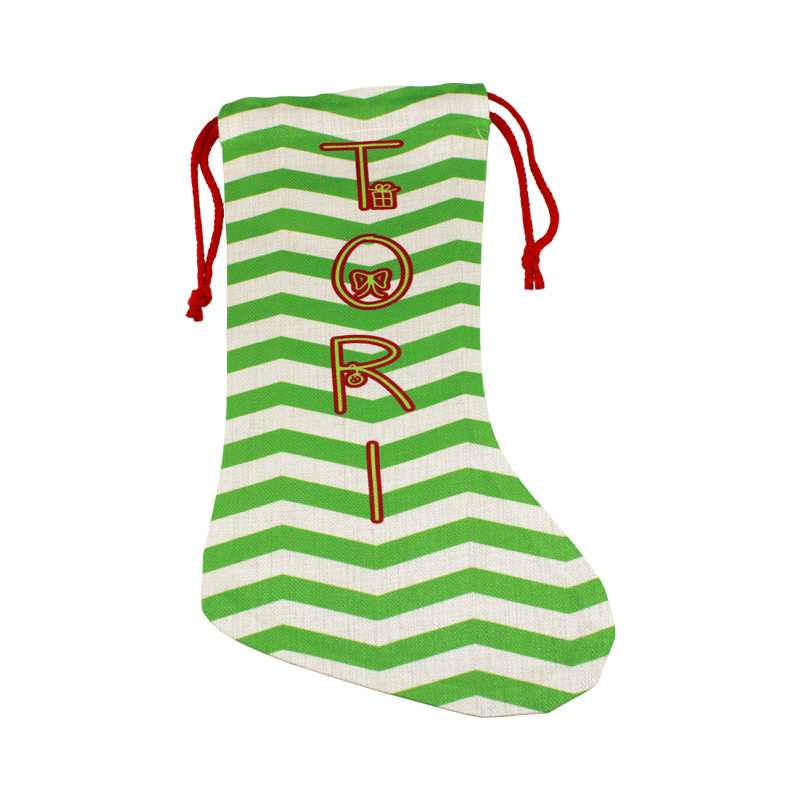 Whatever your idea, these holiday stockings are really sweet and easy to print. A template is provided in Condé's PartnerNet area, available to all registered Condé clients. Offered in three styles, of course this is a big item every Christmas, so be sure to stock up and be ready for the holiday season. 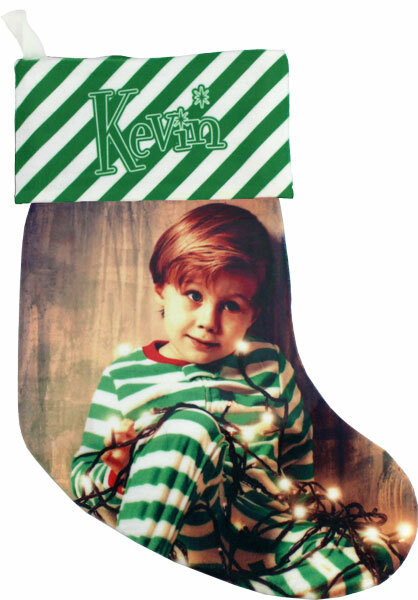 Another idea is to use these stockings as "packaging" for other gift items, like the teddy bear or baby blankets. Use a matching design to tie them together. Whatever your idea, be sure to have a Happy Holiday! DyeTrans Sublimation Blank Linen Holiday Stocking - 11" x 16"
Linen Christmas Holiday Stocking – 11" x 16", with thick braided red drawstring. Natural colored polyester linen, perfect for dye sublimation or heat transfer applications. It also absorbs dye beautifully. 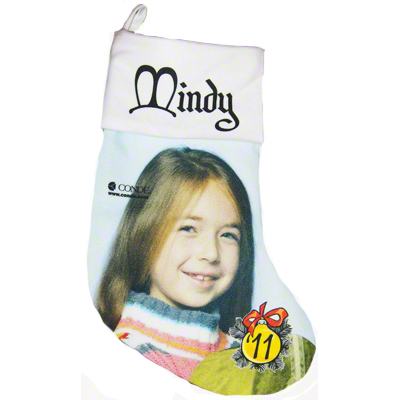 This stocking is perfect for any Christmas decor. 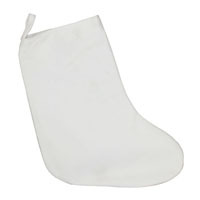 Christmas Stocking, 13.5" White Gaming cloth with White Lining. 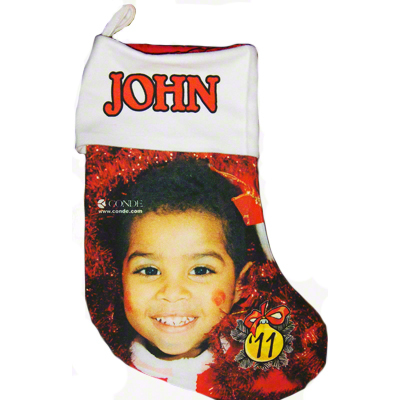 Beautiful keepsake stocking, just add family images or text! 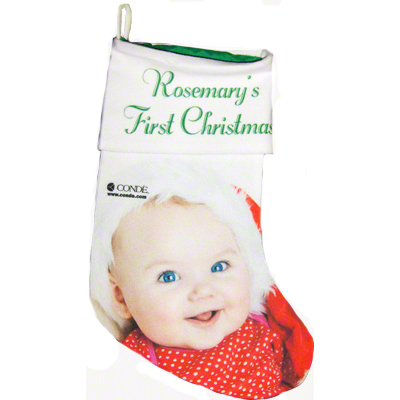 Complete any holiday decor or gift list with sublimated ornaments, sold separately!